Imagine having a highly motivated sales team that’s deeply connected to your brand, all without having to hire or train a single person. Trelevate makes that dream a reality. As a leader in sales outsourcing, Trelevate provides a cost-effective channel for acquiring new customers. Like the answer to any complex equation, the solution is never found in a single step. Our multi-faceted model is carefully designed to deliver reliable results, in any market/industry. We develop a strong brand for clients by identifying the right people for the team. This creates a culture that attracts and motivates top talent that strives to make your business a success! We start each partnership at Trelevate with an assessment of your organization, brand, and the competition. This gives us an intimate understanding of your business and allows us to customize and develop a sales strategy that works. For on-demand sales to be effective, shared values between the client and sales partner must be the foundation for recruitment, training, and management. To achieve maximum results, the sales team must understand all aspects of the product/ service and the brand they represent. That’s why careful talent selection and sourcing are critical. Trelevate utilizes the best HR and management practices to recruit, screen, train, support, and manage your outsourced sales team. We’re conducting interviews and adding top performers to our team – every single day – to ensure we always have the right resources for our clients. But it’s not enough to simply check off a list of requirements, we also go deeper and look for something special. At Trelevate, we match the people to the project. Instead of assigning the next sales associate in line to an account, we look for professionals who will specifically fit the brand and marketplace for each client. By aligning ourselves with the client’s brand philosophy and internal hiring policies – including experience, background, and drug screening – we can build an ideal profile of competency and experience based on who you want to represent your company. Beyond compensation, it’s important to understand what truly motivates people and the psychology behind engaging an elite outsourced sales team. Trelevate utilizes a combination of monetary motivators, growth opportunities, and personalized support to keep our sales teams productive and hungry to exceed sales goals. Unlike most outsourced sales providers, we offer employees a base salary, ongoing training, a benefits package, and unlimited potential for growth. We possess deep expertise in attracting, training, and managing dedicated sales teams to achieve immediate and long-term growth. By maintaining an environment that supports and challenges our team, we empower talented sales professionals to perform at their best. Our proprietary Career Development Program (CDP) is designed to allow team members to develop and enhance their unique abilities. We prefer to partner with clients who view us as an extension of their business and who work with us to develop targeted strategies and KIPs for each market. The deployment of customized sales plans is rooted in building relationships, and our face-to-face approach to sales leaves a lasting impact on customers. By building models that accurately predict sales outcomes, we help clients plan and develop effective sales strategies and elevate the customer experience.  Contact us today to learn more about joining the Trelevate team or how our sales team can help take your business to the next level.